Now that it is summer in San Diego, everyone is looking for interesting and fun things to do — especially when family and friends come to visit. There is always the San Diego Zoo, and SeaWorld. Those are wonderful; however, why visit San Diego without activities on the water? San Diego Boat Tours offers yachts that can be chartered for a variety of interests. Going out on the water is always a great experience. 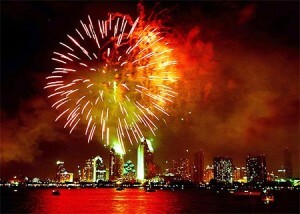 On the Fourth of July, there are fireworks over the bay that are spectacular when seen on the water! The reflections augment the sprays of sparkles as they fall to the ground. Also, at night, the lights from the city add to the display. Reservations for that event should be made right away. The fireworks are just one thing to see from the chartered yacht. Any day your family and friends can go on a sightseeing tour. And you can believe there are so many sights to see. There are many landmarks, aircraft carriers, birds, and animals. 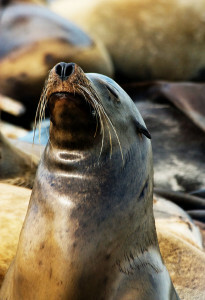 There are always sea lions that sun themselves on various buoys and piers. As you near the end of Point Loma, you will be able to see the white crosses where many soldiers have been buried. 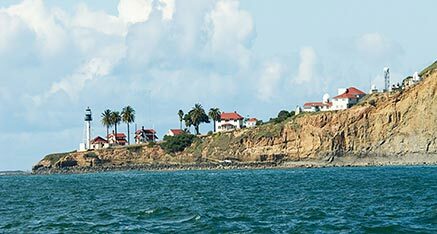 Also when you round the point, you will come to Ballast Point where the ships loaded rocks and soil for their trips to the east coast after providing the west coast with supplies so their ships would sail steadily on the return trip. Ballast Point was also home to various functions in the past. There were Chinese fishing villages, and whaling stations. In addition to sightseeing, you are welcomed to request what you want to do so we can customize your trip. It is totally flexible to do what you want. If you want to drop anchor and enjoy the view and relax, it’s up to you. At night, the bay is spectacular. And, who knows — you might be able to pull up next to one of the many concerts on the bay that are popular in the summer. weddings, burials at sea, and other unique opportunities. We can make special arrangements for you to have videos, flowers, photos, music and more. The tours are available all year long. So, if you visit in the summer — schedule some tours then. Our weather is almost always great.